The New England IPA is officially a thing. The Brewers Association recently released their 2018 Style Guidelines and included three new categories capturing New England's great gift to tap room trends: the Juicy or Hazy Pale Ale, IPA, or Double IPA. Yes, a full 30% of the association's 10 categories of Pale or India Pale Ales attempt to describe the darling of Instagraming craft drinkers by binning them by relative strength. These beers are startlingly photogenic. And offer an easily accessible flavor palate for a hop forward beer. Aroma is the key. Dry hopping, and late additions are used to craft a bouquet of fruit flavors without imparting too much bitterness. The beers are actually quiet sweet - with a clean malt bill, and unfermentable sugars from lactose or hazy adjuncts like oats and wheat. One of the great ironies of the style is that its noted progenitor, Heady Topper, from the Alchemist is packaged in cans advising drinkers against pouring the beer into a glass or other transparent vessel. Such turbidity was long seen as a flaw in anything other than a German wheat beer. Of course, neither the awkward instructions or appearance of this beer stopped it from being oppressively popular. In fact, it's limited distribution and frankly stability probably contributed to the cachet. There is no dispute that New England IPAs are best fresh. Their delicate aromas fade and fall out of balance in a matter of days or weeks. A drinker with a not especially old can of a hard to find beer is left with an intentionally unremarkable malt bill and a definite sense that something is missing. The best way to consume and procure these beers is at the source, where freshness is assumed if not assured. The growth of the style is coincident with the explosion of brewery Tap room culture in New England. (Yes, it's lagged a bit here). 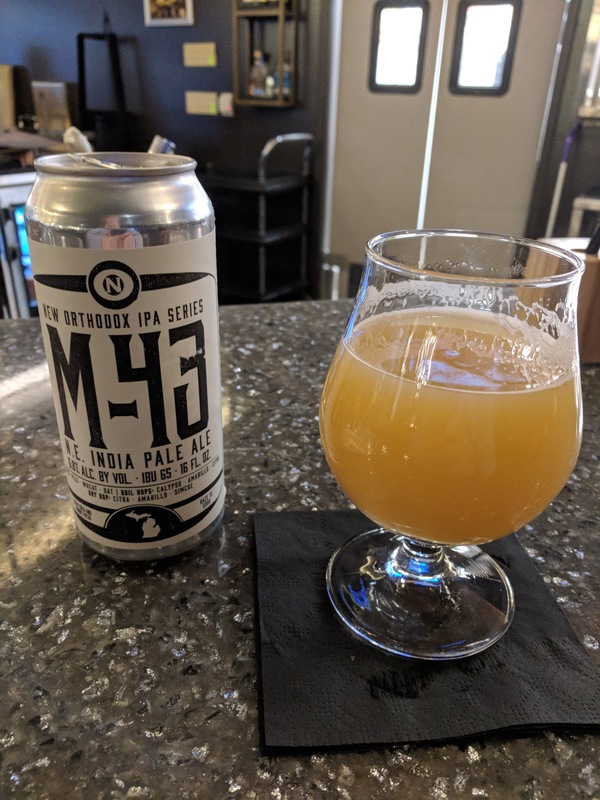 Even routine releases of flagship New England IPAs became events. Small towns in Vermont were mobbed by devotees waiting for cans. The scene repeated in brewery parking lots in Western Massachusetts and suburban Boston. To paraphrase Field of Dreams, if you brew it, they will come. 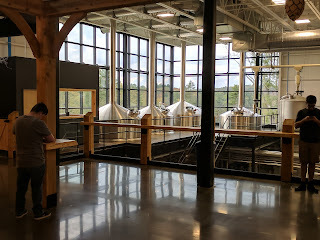 Last year, Tree House Brewing opened their 3rd brewery after out growing each of the prior two without making any serious efforts at distribution. 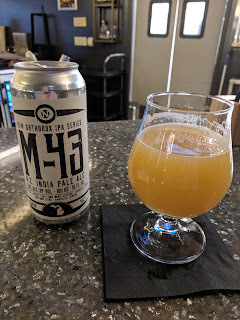 Drinkers from New York and Boston would make to road trip to Monson, MA, park in a field, and pay full retail prices of $3-4 a can to get the latest. It wasn't long before it seemed that every tap room from Canton to Chelsea had a New England IPA or two to draw foot traffic. The style has spread. Even Microbrewers in Italy are having a go, and a success with hazy, hoppy, sweet beers. Some of the craft beer industry's most articulate statesmen, like Garret Oliver, have labeled NE IPA a fad. It may be. And much like bell-bottoms, deserve to been seen as a style unto itself. So, good on the Brewers Association for decoupling the sweet from the bitter in their style guidelines, and competitions. These are completely different flavor profiles and different beers. The NE IPA is a product of on-premise engagement between the brewery and consumer. It's fresh and fun. It makes for a great day in the sun. However, it has nothing to due with the historic India Pale Ales brewed in England's midlands for shipment by boat to India. Consumption of fresh IPA was almost unimaginable. Today it's a necessity for some.